On Saturday I complained about the slow download speed while trying to get the Notes 8 Public Beta. 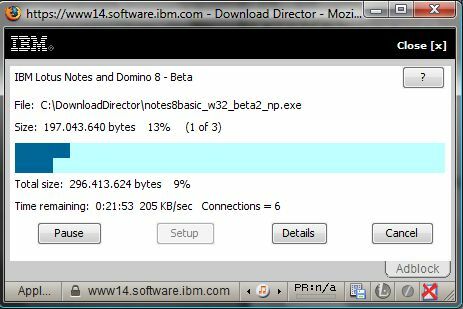 Well, right before I went to bed, Christopher Baker of IBM postet in the Beta-Forum: THE DOWNLOAD PROBLEM IS BEING WORKED. I got all Notes 8 beta-files without a problem and at acceptable speeds. It’s nice to see that even a big company like IBM can react quickly to problems – even on DST-weekend.